A night out at the museum sounds too good to be true especially if you are a culture savvy. Usually when people, families or a group of friends decide to pay a visit to a museum, they might not be limited in terms of how long they can explore the site for, but at some point, the lights will shut off and the doors will be locked, and you’ll have to leave the museum. Can you imagine what it would be like to sleep under T-Rex’s bones? Or just next to Roosevelt’s portrait? Or just touring with a flashlight in your hands? 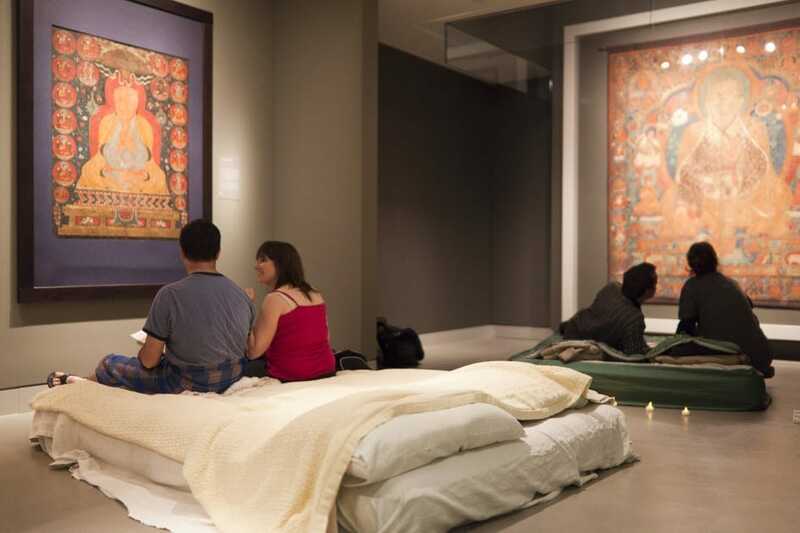 Well, apparently, these days, if you want to extend your visit, let’s say to the extent that you wish you could spend the night there, then you’ll be happy to hear that some museums are actually hosting a sleepover. There has to be some added value to spending the night there, otherwise why would that option be possible? 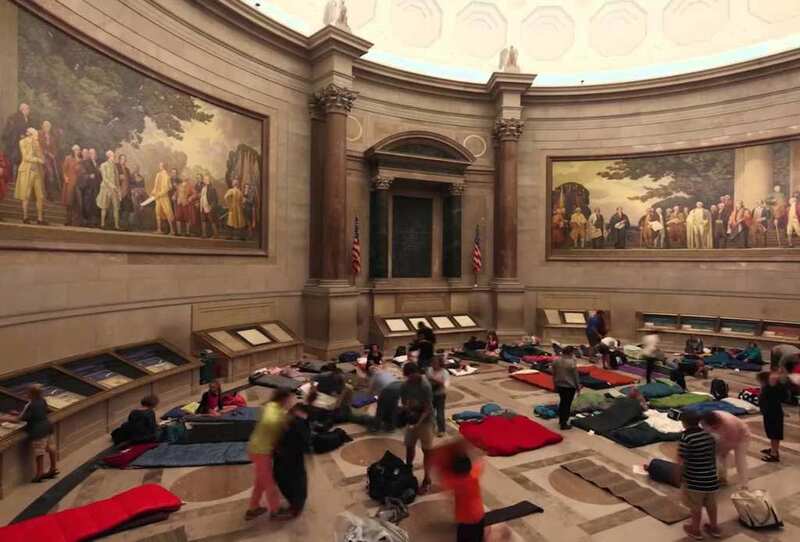 Think about how awesome it would if your kid wanted to throw a birthday party with a sleepover, so instead of throwing another boring one at your home, you can move the party (and the mess) to the closest museum. Now, there’s only one question left, what do you pack for an overnight at the museum? Start with your dragon PJs maybe. Here are 5 museums which offer a little bit more than history. #aboutlastnight at the museum. 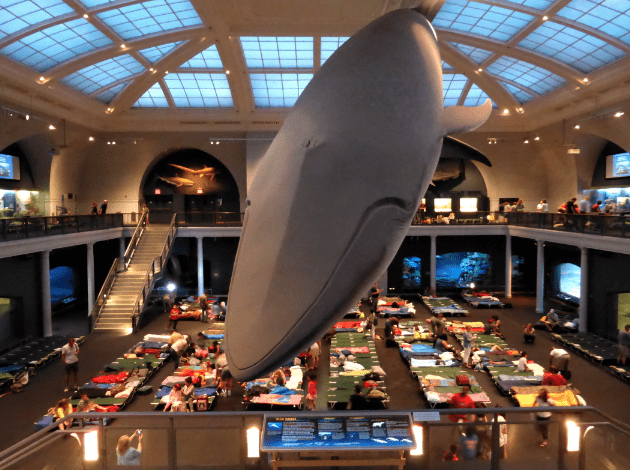 The American Museum of Natural History in New York is one of the biggest museums in the world and has over 30 million different specimens of fossils, animals, plants, human remains and more. In fact the film, Night at the Museum was actually shot there, so it really doesn’t get cooler than that. If you’re into cosmos then that’s your place. Enjoy the planetarium midnight shows or a flashlight tour of T-Rex and his buddies. Located in Washington D.C. this nonprofit museum will really get you inspired by the heritage of the country. Some of its objectives is to get citizens more engaged and involved in the country’s democracy. 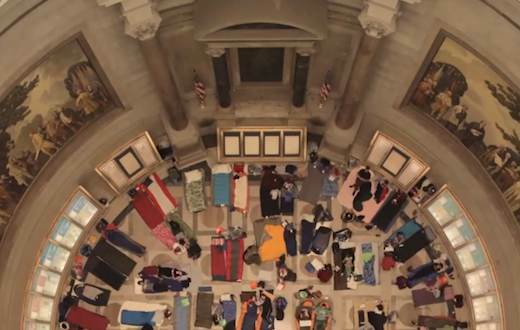 Guests of the museum can roll out of their sleeping bag and find themselves laying next to the Bill of Rights of the Declaration of Independence. 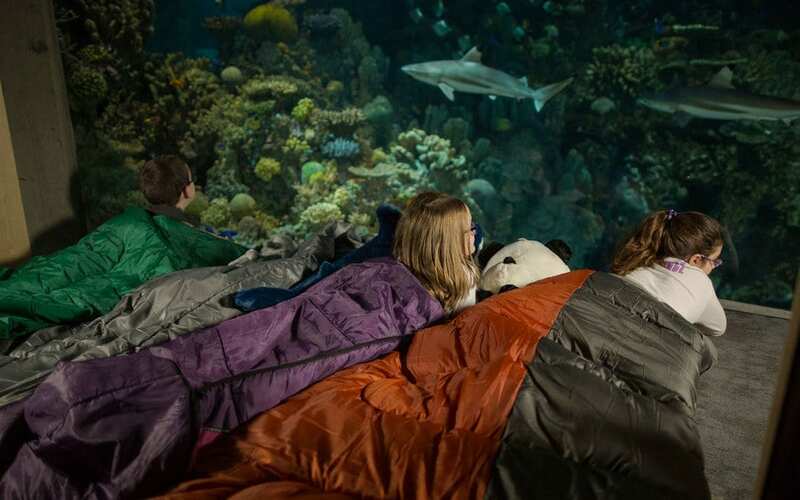 In the Harbor area of Baltimore, Maryland, the National Aquarium will offer its guests a real oceanic experience where you can get as close as possible to the sharks, and literally have a sleepover with your new swimming friends, well with a bug glass wall separating you, but still. 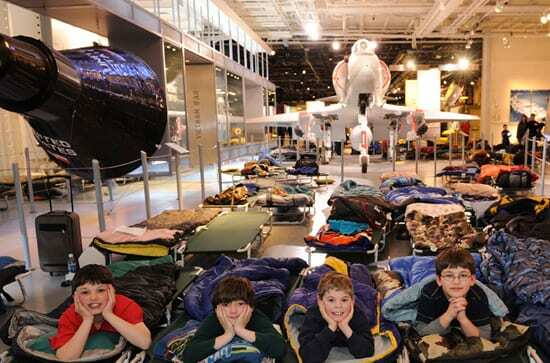 If your kid is obsessed with space and anything related to, then the Intrepid Museum offers a unique opportunity stay night aboard an aircraft carrier or a space shuttle. The overnight excursions include flashlight tours, educational talks, visits to never-seen before flight simulators and a goodie bag filled with souvenirs. We love the name of the activity as well, ‘Operation Slumber’. It’s great for school or camp groups or all of you who still think you are kids at heart. It’s time to zen out and get into the contemplative mode. Ironically situated in New York City, the city that never stops, the Rubin Museum offers a ‘Dream Over’ for those guests seeking some quiet time from their hectic lives. 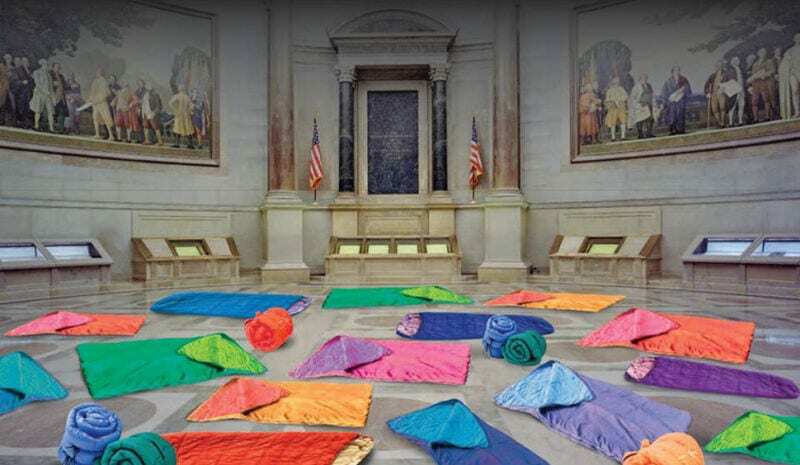 The overnight activity includes a self-reflective survey and after filling it out, you get to sleep close to your favorite piece of artwork. When you wake up, you’ll get the opportunity to talk to a professional dream interpreter about your dreams and overall experience. Our goal is to faithfully supply our readers with engaging, entertaining, and informative stories that are related to the exploration and discovery of all things travel oriented.